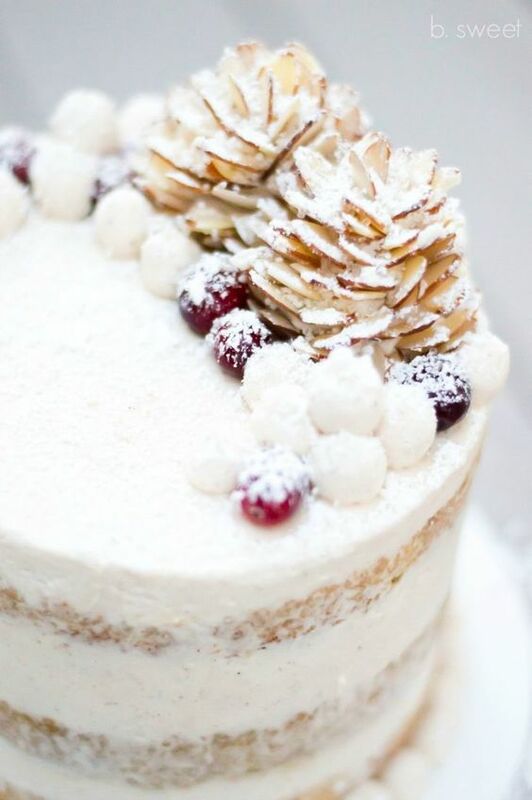 I think my stomach is always drawn to beautiful cakes when picking my favourites! 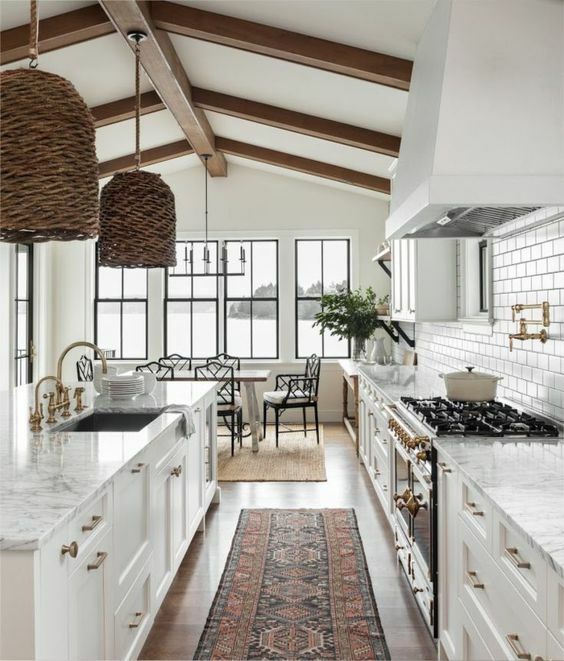 The decor on the top of this is gorgeous! I think an easy way to make these pine cones is to use an oval shaped lump of marzipan and stick the slivered almonds into it. Then possible freezing it, would help it keep its shape and allow transfer onto the cake. One day I will have a cute sun room like this! 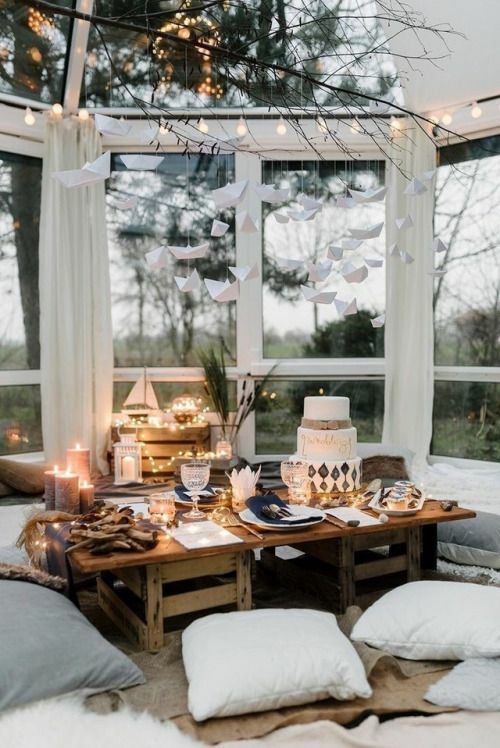 I love this cozy and intimate style of dining. My outfit this morning was definitely inspired by this stunning look! Love using white pants in the winter with a pair of heels for a chic look! 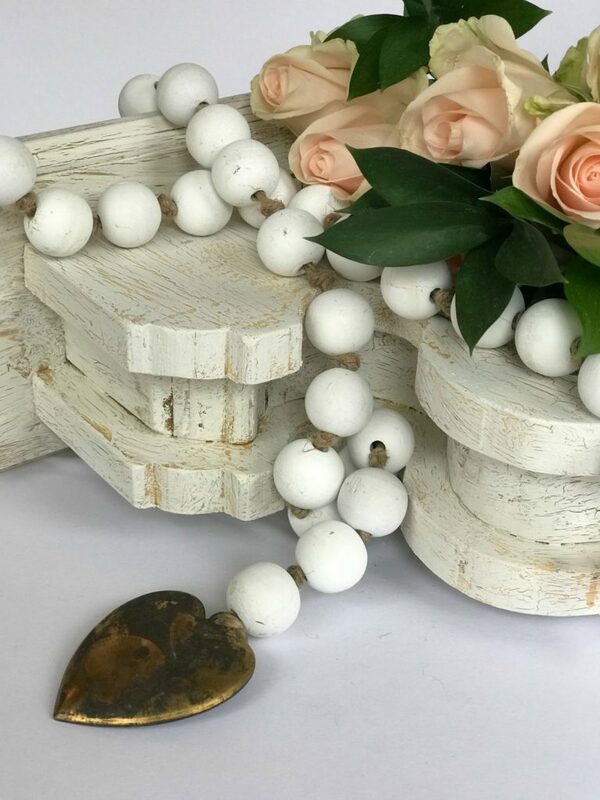 These wood bead garlands are so popular in coffee table styling and home decor right now so I thought I would try and track down a DIY! I would love to try and make one of these one weekend. I bet all of the items could be ordered on amazon!